On May 29th, the extraordinary Grace Paley Organizing Fellowship (GPOF) 5777 cohort will conclude their fellowship and we invite you to join them in celebrating their success! The JFREJ staff and member-leaders of the GPOF facilitation team are honored to have worked with these fellows over the course of a year that saw major developments in the GPOF program. For the first time, the cohort was made up entirely of Jews of Color including Mizrahi & Sephardic Jews and raised poor and working-class Jews. The GPOF curriculum has been extensively revised, and for the first time, fellows planned and carried out an entire action as part of their leadership development. The fellows have knocked it out of the park at every turn, learning new skills and accepting enormous responsibilities. It has been a year of challenge and accomplishment, and we couldn’t be more proud of them. Amparo Abel-Bey holds an MPH degree with a concentration in Aging and Public Health from Columbia University, Mailman School of Public Health and a BA degree in Cultural Anthropology and Sociology with a minor in Africana Studies from SUNY Stony Brook University. As the former coordinator of the Walk It Out! program, a culturally-tailored comprehensive physical activity program for seniors in Harlem that seeks to provide informational outreach, promote health, and postpone co-morbidities through increasing opportunities for physical activity via environmental change and supportive programming, she retains a strong connection with engaging and empowering seniors to improve their quality of life. Her background in program development has supported her transition within the HHPH team to lead the adult-centered stroke education and prevention project, TASHE. She currently coordinates TASHE’s recruitment and outreach activities, in order to widely disseminate information about primary and secondary stroke prevention in high-risk communities. Additionally, she now leads the Stroke Warriors, the network of Northern Manhattan Stroke Support Groups both at Harlem Hospital Center and Columbia University Medical Center. Amparo also assists with the Hip Hop Stroke research program, and has secured grant funding and assisted with curriculum development for the Hip Hop POP program. Amparo has also worked for the Department for the Aging in the Bureau of Long Term Care and Active Aging, to execute the provision of health and social services directed at older adults in New York City in a community setting. Amparo’s interest in aging-related issues began early in her career, where she spent countless hours volunteering at the Gurwin Jewish Nursing and Rehabilitation Center and Huntington Hills Center for Health and Rehabilitation. Amparo is a foodie who, in her spare time, enjoys volunteering, composting, and cycling. Hadar Ahuvia, is a performer, choreographer and progressive Jewish educator. She creates work based in physical research and political consciousness, dances for emerging and established choreographers, and is Assistant Director of Youth Education at Kolot Chayeinu. Benjamin Altman (Elimelech) is a rapper, bass player and engineer determined to see clean energy and clean water for all people of the world. Now living in Harlem, Benjamin looks to address gentrification issues through conversations with long-time local community members. Benjamin’s overall goal is equitable distribution of resource worldwide. 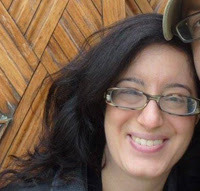 As a Jew of Color with Turkish, Sephardic and Mizrachi identities, Benjamin and JOCs are uniquely positioned to facilitate inter-identity work towards alliances and overall eliminate oppression from the face of the planet. Eden recently moved to New York from San Diego, CA where she grew up and attended the University of California, San Diego. Throughout her time at UCSD, she organized thousands of students around major campus issues such as tuition hikes, closure of student spaces, and fair contracts for campus workers. She moved to New York to pursue the Coro Fellowship in Public Affairs, where she gained a deeper understanding of the political and socio-economic landscape of New York City and how to affect change within it. She has also been active with IfNotNow, a movement aimed to end American Jewish support for the occupation. Through JFREJ, Eden is excited to continue challenging structures of inequality and coalition building in pursuit of racial and economic justice. Ethan Cohen studied English and history at Vassar College. An author, playwright, and student-historian, he has evaluated scripts for and organized the archives of several theatre and literary companies, mostly in downtown Manhattan. As a Grace Paley Organizing Fellow, he has co-facilitated anti-Islamophobia trainings, planned political actions and community events, and built grassroots membership and support, often through JFREJ’s Mizrahi caucus. He tutors high school New Yorkers and house manages evenings at Dixon Place. You may have seen his absurdist plays at the 13th St. Repertory Company and the New York New Works Theatre Festival, or read his stories & poems in Fish Food, East Coast Ink, Danse Macabre, and elsewhere. 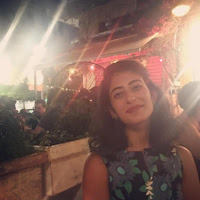 Nakita Rakel Joseph began working with JFREJ after noticing JFREJ’s hand in rabbis boldly working alongside police brutality protesters, and has not regretted being a part of JFREJ since. Nakita attributes her start in social justice to her parents. Nakita’s parents wanted Torah to be more than archaic words but rather a charge for social justice action with a focus on vulnerable populations. This charge has never left Nakita. Nakita also enjoys working with the Jewish Multicultural Network. 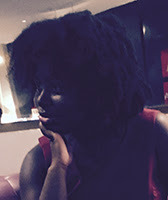 Currently, Nakita is a second year Social Work Master’s candidate at Columbia University School of Social Work, with a concentration in Policy, and works as a research assistant on issues such as: systemic oppression, trauma and inequality. Nakita is also thinking about obtaining a doctorate in Social Policy. Nakita is excited to have the opportunity to merge faith and advocacy, and looks forward to learning and growing. Through, GPOF Nakita hopes to obtain skills on empowering communities and moving campaign issues into equitable policies. Talia Kamran is a third year student at Barnard College studying Women’s, Gender, and Sexuality Studies and Political Science. She is a community organizer on her campus, and strives to create Jewish communities that are critical of the various social justice issues surrounding us. 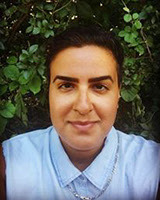 She hopes to create spaces where Jews can see both how they are complicit in different systems of oppression, how they themselves are affected by or oppressed under these systems, as well as how Jews can be a particularly strong force in supporting and uplifting social movements across the globe. As a child of two Iranian Jewish immigrants, Talia is particularly passionate about complicating Jewish narratives of history, religious practice, and society to include those communities whose stories have been marginalized in dominant Jewish spaces. She looks forward to building a community of Jews from various backgrounds, identities, and experience at GPOF, and to learn to become a leader in creating anti-oppressive, supportive communities dedicated to people’s collective liberation. Estee is honored to be part of GPOF and is excited to build community with other fellows, the Mizrahi caucus and JFREJ members. She is a public interest lawyer whose work focuses on reentry issues and discrimination against people with a history of criminal conviction. Estee was excited to learn about JFREJ’s police accountability project through her legal work and was even more excited to learn about JFREJ’s Mizrahi caucus and JFREJ’s efforts to raise the voices of Jews of Color and Mizrahi/Sephardi Jews. Estee studied philosophy at the University of Pennsylvania and got her law degree at the University of Chicago Law School. Deborah (“Deb”) Lolai is an Iranian Jew from Long Island. Deb began organizing as a student activist in college around issues facing LGBTQI communities and around the criminal (in)justice system. She has continued to organize throughout law school and her career in various capacities. She currently works at The Bronx Defenders, where she chairs the LGBTQ Working Group. Deb loves the ocean, being outdoors, practicing yoga, and dancing. Alexis is a proud Puerto Rican Jew based in NYC. She is deeply inspired by the transformative power of music and other performing arts, and works to support and provide platforms for artists and musicians from all over the world. 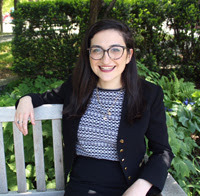 Outside of her professional life, Alexis is an active member of the progressive Jewish community, having served on the Board of HIAS, led trips with AJWS, and investigated human rights from a Jewish perspective as a Rene Cassin Fellow. She is new to JFREJ and is looking forward to learning, building, and growing with this incredible cohort and core team! 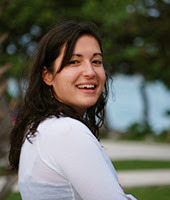 Julia is a Colombian-American Jew who grew up in South Florida. She moved to New York in 2009 to attend Columbia, where she majored in Middle Eastern History with a concentration in Jewish Studies. She later lived in the occupied West Bank village of Beit Sahour, which led her to advocate and organize within the Palestinian solidarity movement there and in New York. 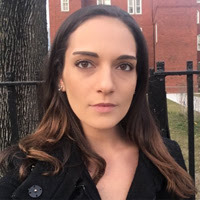 Julia has served as an editor for progressive publications and is currently the Senior Editor of Unruly: A Jews of Color, Sephardi & Mizrahi Caucus Blog. 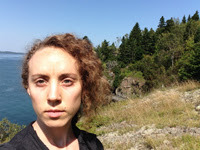 Julia is passionate about organizing marginalized communities to build our collective power. She is a member-leader of the JFREJ Jews of Color Caucus and a JFREJ member rep to Communities United for Police Reform. She is a proud member of the National Writers Union (UAW Local 1981) and an active member of the Democratic Socialists of America. Julia enjoys making buñuelos, and she is a friend to all dogs. Gabriella Zutrau grew up in Boston, Massachusetts and recently graduated from Smith College. Early on at Smith, Gabbi co-founded Divest Smith College, a student-led network of Smith community members that took grassroots action to organize and urge the Smith Board of Trustees to divest their endowment from the fossil fuel industry. 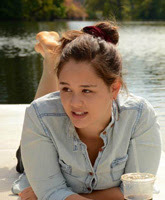 While remaining actively dedicated to the intersectional goals of Divest Smith College, Gabbi pursued and completed a degree of her own design, a double major in Linguistics and Psychology with a concentration in Mandarin translation studies. Gabbi also directs a youth empowerment summer camp for children aged 8-11 at Rowe Camp and Conference Center, where her organizing for collective liberation takes the form of anti-adultist youth work. Over the past few years, Gabbi has spent many months in China, where she has enriched her understanding of linguistics while also researching issues of economic justice and climate justice. Gabbi currently lives in Brooklyn, where she is continuing her development as an activist and organizer with JFREJ. The fellows and the GPOF facilitation team look forward to seeing you at graduation on May 29th.